If you want to remain safe while biking during sunset and at night (or even during the day), one way to remain visible is to install bright LED flashing lights for the front and back of your bicycle. Typical flashing LED lights in stores can be quite expensive, but if you’re just looking to get some no frills lights, here are two models from Sodial which do a great job. The Sodial Ultra Bright 5 LED Rear Back Lamp Light can be mounted vertically or horizontally and has constant and a variety of flashing modes. The light itself can be removed from its bracket when not in use. 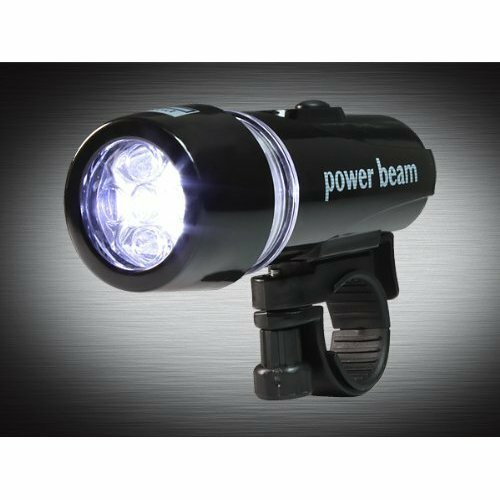 It’s bright and makes you very visible both during the day and night. For only $7.36 CDN shipped to Canada (or $4.61 in the USA!) it’s a no frills deal. The plastic build quality is not the best, but for the price it’s actually quite alright. Sodial also makes a waterproof LED headlight. 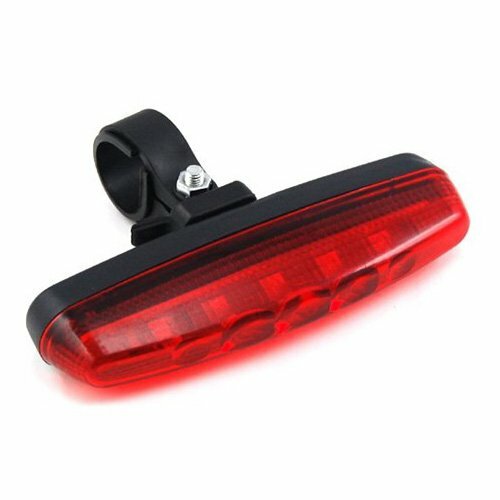 This bright front light for your bike has constant and flashing modes. It also can be removed when not on your bike. The best part about this light is there’s a transparent segment on the side which also shows the light, making you extra visible. The front beam is visible up to 800m away. This units is available for $8.27 CDN shipped to Canada ($6.23 for Americans). Again, the plastics are decent for the price and it does the job as it uses 3 AAA batteries.